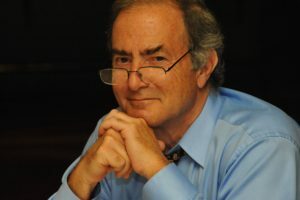 Legendary Chicago newspaperman, radio host, and author Rick Kogan joins us in the Booth to share some great stories and lively conversation. He’s a big fan of our show and has listened to a number of past episodes that he’s told us are terrific. High praise from a master interviewer who was a close friend of Studs Terkel and is carrying on in his brilliant tradition. Rick says he may be our only guest so far who has gotten drunk in the original Booth One at the Pump Room back when real movie stars sat there. Check out the list here. Rick talks about growing up in a remarkable family – his father, legendary author and journalist Herman Kogan; his mother, reporter and publicist Marilew; and his brother, major league rock band tour manager Mark. He tells us an amazing story about Mark, Elvis and Sinatra. Their parents met at Riccardo’s, a restaurant behind the Wrigley Building, and he is named Rick (not Richard) after the owner. A legendary hang out for newspaper people, artists, and musicians, our producer spent some time there back in the day just to eavesdrop on the always interesting conversations. He talks about the kind of people who were hanging around his parents’ apartment growing up. A list that includes Studs & Ida Terkel, Nelson Algren, Marcel Marceau, and Mort Sahl. Can you imagine? We learn about his early career driving a cab, then moving to Spain and eventually submitting a travel piece about Dover, England to the Tribune, which sold for the then thrilling price of $160. He returned to Chicago and began an incredible career in journalism. 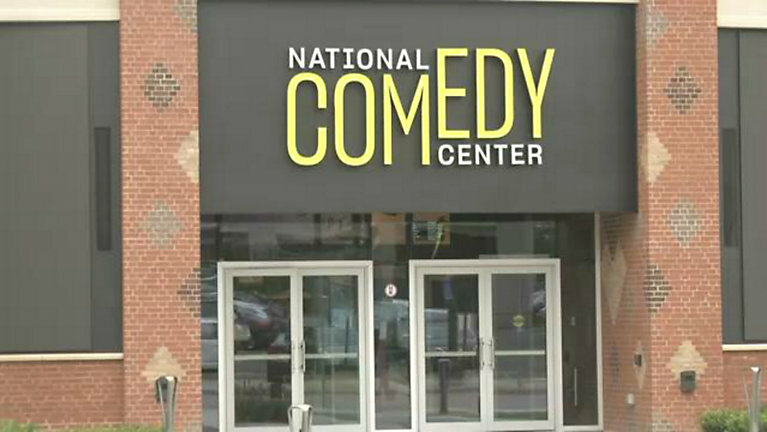 Gary announces that on August 1st, the National Comedy Center will open in Jamestown, NY, the birthplace of Lucille Ball. Check out this video that will make you want to visit. Frank is an expert on Lucy, and will probably be going to represent. One of the cool things is that on a touch screen, you create a “sense of humor profile” to personalize your experience. 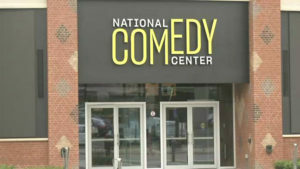 They have acquired the archives of a very impressive array of comedians, including Lenny Bruce and George Carlin. Gary asks Rick about favorite guests on his radio show. He starts with Studs Terkel, who was not just the all-time great interviewer, but also a really fun guest. 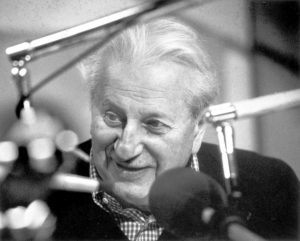 They talk about the WFMT Studs Terkel archive and Rick describes a favorite – Studs interviewing a very young Bob Dylan. You don’t want to miss his spot-on impression of Studs and hilarious summary of the episode. The digital audio of this is not yet public, but will be soon. Rick graciously invites us to come on his radio show, After Hours, which airs on Sunday nights from 9:00 – 11:00pm CST on WGN. What an honor! The boys are excited about this opportunity. 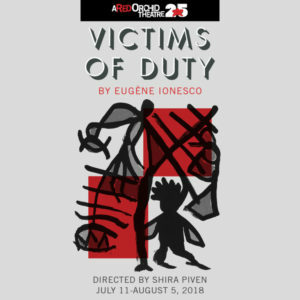 A Red Orchid Theatre is currently running a Eugene Ionesco play called Victims of Duty, a lesser known work not often produced. It stars a wonderful group of actors, including Michael Shannon and AROT co-founder Guy Van Swearingen. It’s an absurdist play that deals with memories and the concept of “non-theatre”. Gary and Frank admit to being somewhat puzzled by the play’s themes and structure, but praise the performances and the production design by Danila Korogodsky along with excellent direction by Shira Piven. Running through August 5, this show will keep you laughing, guessing and thinking. And pondering the absurdities of life and love. 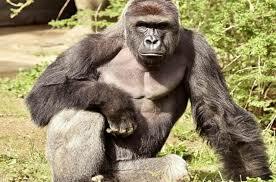 Rick regales us with tales of baseball, Riverview amusement park, Mike Royko, John Wayne, and Bushman the gorilla. We discuss his fascinating true-crime book Everybody Pays, co-authored with Maurice Possley. A real page-turner and we are hoping destined for a movie deal some day. One of the most generous people we’ve ever met, Rick tells our listeners that he will send a signed copy of Everybody Pays to anyone who donates $100 or more to the Booth One non-profit. So look for the Donate button on our web site and receive your free book! 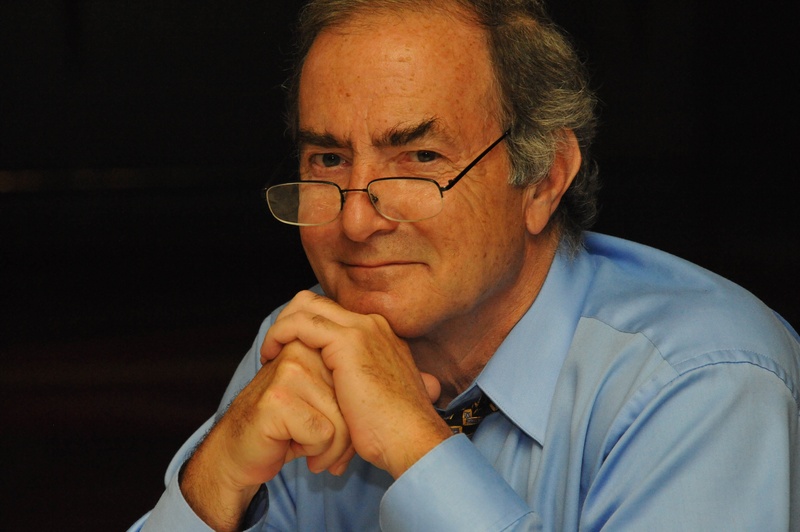 In addition to writing columns and stories for the Chicago Tribune, Rick Kogan also contributes the occasional obituary. He brings a personal touch to these remembrances and is most proud of the ones where he can give a first-hand account of a life well lived. He is so eloquent in his perspective on obituary writing and on the lives of Art Shay and Art Paul that for the first time in 82 episodes, we decide to skip a Kiss of Death segment this week.